The DuPage Swimming Center staff is a group of experienced, fully trained individuals who share the same goal: to teach students how to swim safe from the start. Since 2003, our outstanding staff has worked hard to develop confident, enthusiastic, and capable swimmers. Our Mission: We believe that swim lessons can save lives. 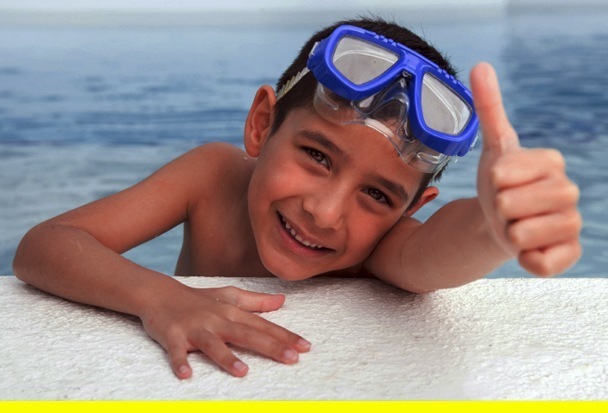 Our aim is to give you the peace of mind knowing that your child is safe in the water. Our goal as a team is to teach every student how to be water safe. To do this, we challenge every student to swim 400 yards without stopping. We believe that once your child has reached this objective, they will have obtained the skills necessary to be safe and confident in the water.